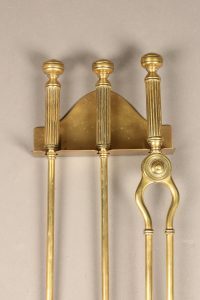 Dutch or English brass fireplace set with hanger. 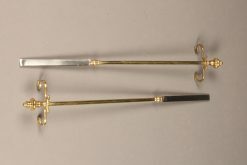 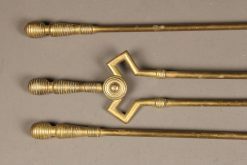 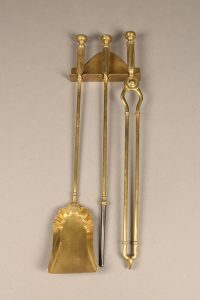 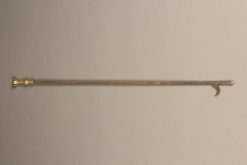 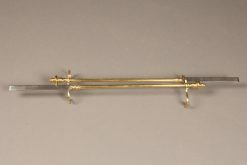 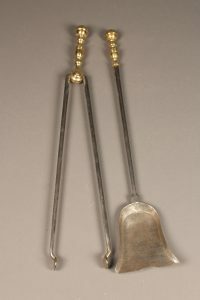 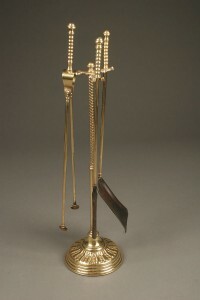 English brass and iron fireplace poker. 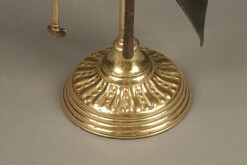 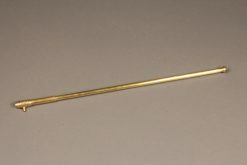 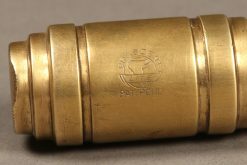 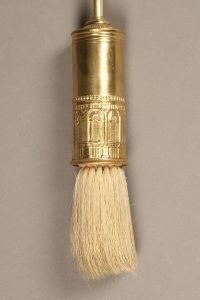 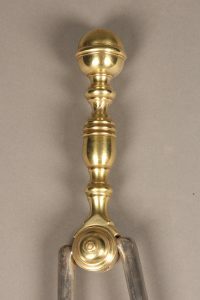 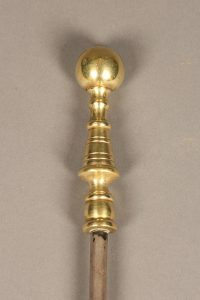 Adjustable brass English fireplace brush. 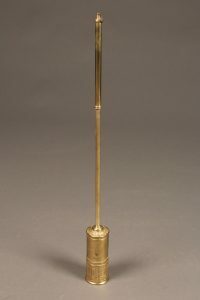 Brass stove/fireplace igniter signed Crescent Lite. 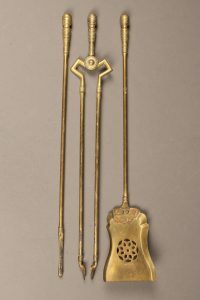 Brass and iron coal fireplace tools? 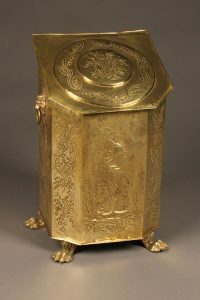 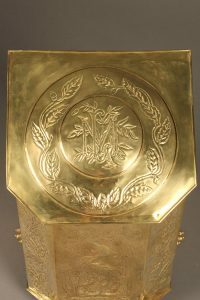 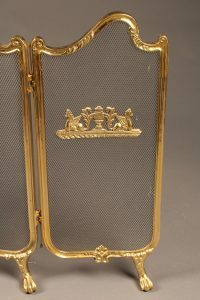 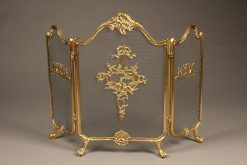 Solid brass folding fireplace screen. 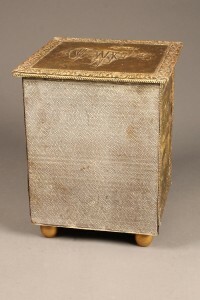 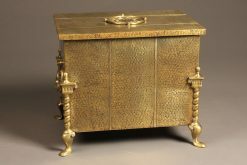 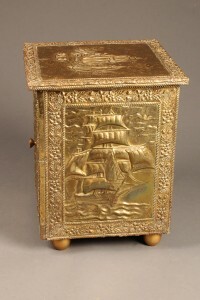 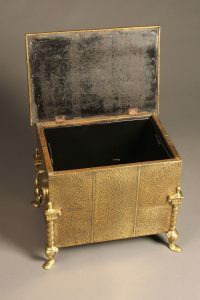 Hammered brass English coal hod with iron liner.